Glowing, supple, radiant skin-- GET AT ME! 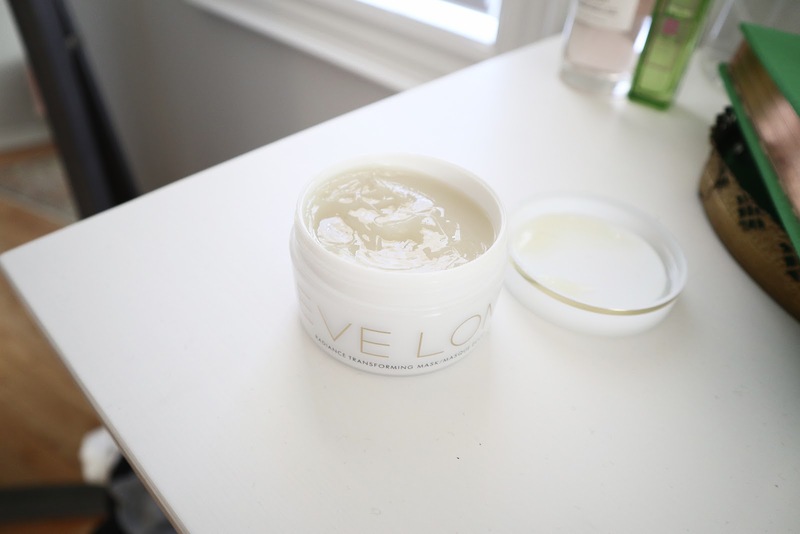 EVE LOM is one of the most luxurious skincare lines I'd had the pleasure of trying. I become obsessed with the cleanser which had led me to fall for their face mist, face oil, and now face masks. 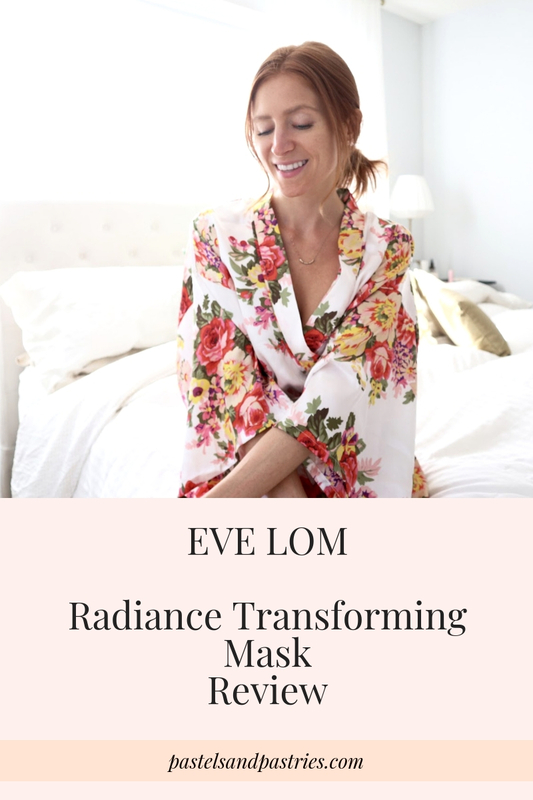 When I had heard some pretty epic things regarding EVE LOM's latest addition to their collection, the Radiance Transforming Mask, I knew it had to try it out. 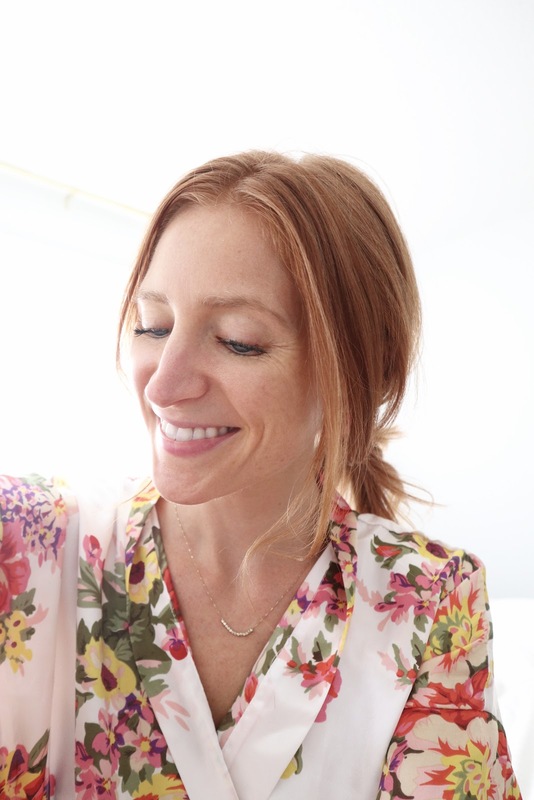 It promised an intense facial treatment (packed with botanicals and antioxidants) to smooth out your skin, exfoliate, hydrate, and leave you looking fresh. FRESH indeed my friends! 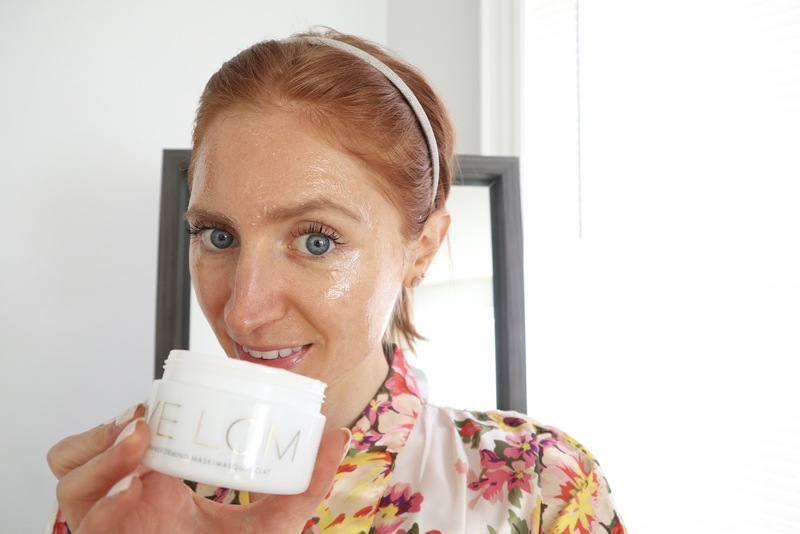 The mask is soft, not sticky, it's light and glides on like a dream. Think of the consistency of aloe gel. I like to apply with a hairless mask brush and get an even layer all over my face. Now here is where you have two options. One-- leave it on for a minimum of 30 minutes, then wash off. Two-- use it as an overnight mask. I've done it both ways. Both times I've had noticeable results. Pro tip: When using the mask overnight massage it into the skin after applying so there is less residue. I also like to cover my pillowcase with an old pillowcase or shirt in case my face rubs too much into it. Other than that I do not find any issues with masking overnight! I just pull my hair back and sleep normally. 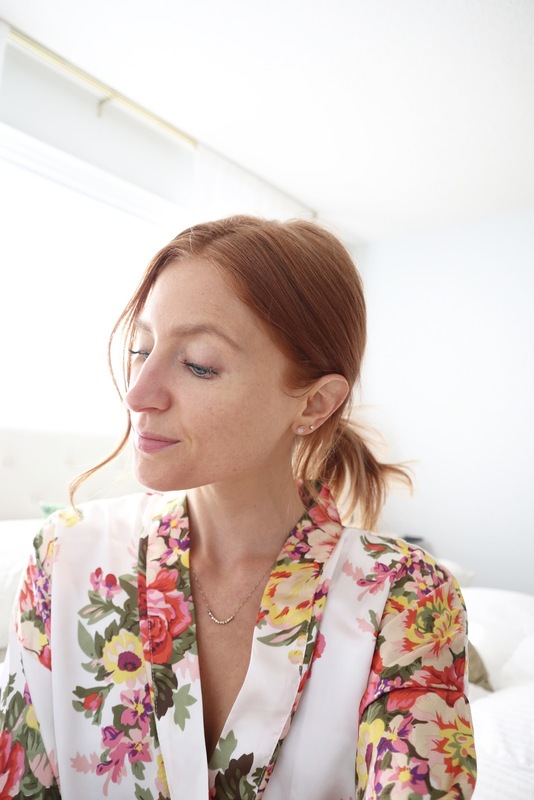 If the mask feels too heavy, blot away some excess with a tissue before hopping into bed. My skin was dull, it lacked any radiance, and it looked extremely tired. Eyes were also quite puffy. You can see in the picture with the mask on, the glow is already starting! It feels so light on the face and SO refreshing. Like you've just rubbed cool cucumber-lime gel all over. You could literally leave this on forever. I think that's why I had no issue with leaving it on as an overnighter. It feels like it's tightening your skin as you watch. Can I just say WOW? First of all, no downtime. 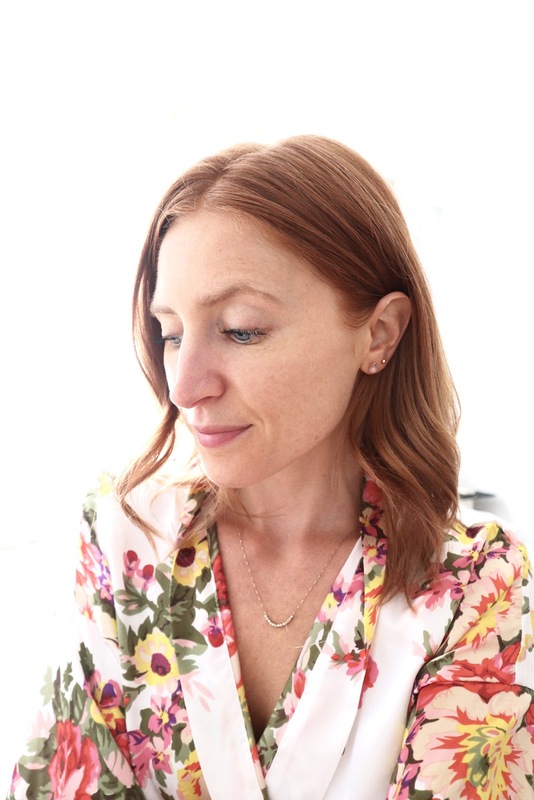 Some masks leave you red, inflamed and just plain blotchy or irritated. Not even an ounce of this found here, my friends. It must be from the gentle caviar lime which promotes natural cell turnover. The mask is also packed with other natural ingredients like algae extract and hemp seed oil. Algea to firm and hydrate, and hemp seed oil which moistens in a non-greasy way. My face was so soft to the touch, was so smooth and hydrated. The smoothness is not just a feeling, my face actually looked blurred... in a good way! Not to mention it was radiant and refreshed and looking pretty dang velvety. Like I mentioned, I've done the mask overnight, and for 30 minutes, which is perfect to do before a night out! Either way, I'm EVE LOM in love.